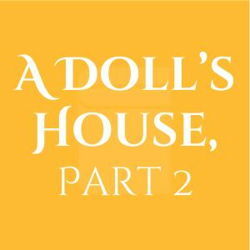 Lucas Hnath’s Tony-nominated A Doll’s House, Part 2 picks up where Ibsen’s groundbreaking play left off. Fifteen years ago, Nora left her husband, Torvald. In the years since, the two have had no contact. Nora has become a successful feminist writer, while Torvald continued to work at the bank and raised their children on his own. Now, Nora has learned that, contrary to what she believed, she and Torvald were never actually divorced. She returns to her old home to request Torvald finally grant her a divorce. But after all that’s happened, will Torvald be willing to give her what she wants? After all this time, is Nora prepared to face what she left behind?